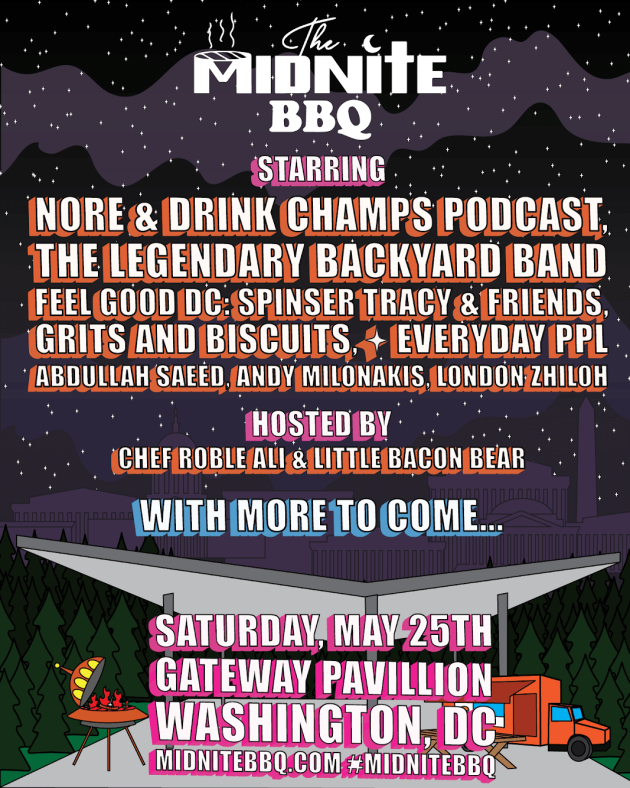 Saturday, May 25, 2019 - Gateway Pavilion, DC — A twist on the traditional BBQ, started in 2015, celebrating differences in food, music, and style! Created for positive vibes and discerning tastes, The Midnite BBQ features the best in local FOOD, MUSIC and CULTURE. America is a melting pot of cultures, but the words “BARBECUE” or “cookout “ connote an “All-American” event w/ a menu devoid of food that reflects our diverse cultural make-up. We decided to flip the script, while catering to ALL…weeding out the ordinary, adding late night hours, a variety of options for restricted diets, and exotic options for the most discerning tastes. In 2019, The Midnite BBQ Weekend will give guests a NEW world of options. Beyond the BEST in DC area food, attendees will hear inspirational panelists, participate in food demos with rising culinary stars, sample national brand offerings, and enjoy craft libations. Over 3 days of curated programming will provide each guest with a customized experience full of memories.